You may also access Google Apps video tutorials on the Tech In a Sec page! Also, click here for Google-developed instruction and tutorials. Click on each category below to expand each section to access text and video tutorials. 5. In the Email field, enter your full Google Apps email address (computer login username + @joplinschools.org). 7. 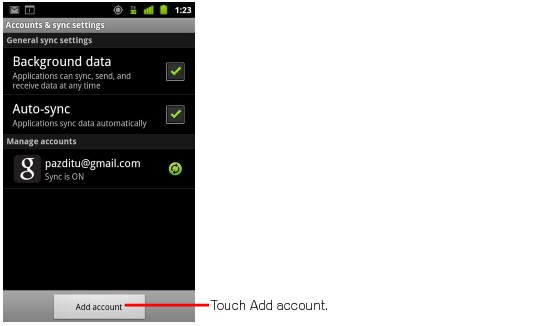 Enter your full Google Apps email address (computer login username + @joplinschools.org) as the Username. 8. Enter your Google Apps password as the Password. 10. When the new Server field appears, enter m.google.com. 11. Press Next at the top of your screen again. 6b. Enter your Google Account password as the Password. 7b. Press Next at the top of your screen. 8b. Enter m.google.com in the Server field. 9b. Leave the Domain field blank. 10b. Enter the user email address as the Username. 11b. Press Next at the top of your screen again. Skip to step 12. Tutorials adapted from howtogeek.com and edutraining.googleapps.com, unless otherwise noted.